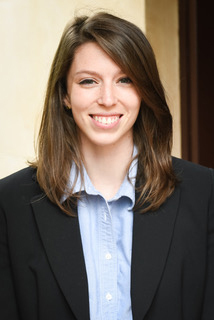 Madlyn Kaufman joined the Meridian Center for Cultural Diplomacy team after receiving her M.A. in Art and Museum Studies at Georgetown University. Along with her M.A., Madlyn completed her B.A. in History with minors in Art History and Museum Studies at Georgia College and State University. While receiving her degrees, Madlyn studied in several European countries, including France, the Netherlands, Italy, and England. Between her education, Madlyn has worked in a variety of art and museum settings, ranging from a historic house museum, art galleries, and museum institutions, including the National Portrait Gallery. As the Cultural Programs Associate, Madlyn supports MCCD with exhibition development, research, exchanges, and cultural programming.